Here are a few of my favourite photos from my days in the Saharawi refugee camps. 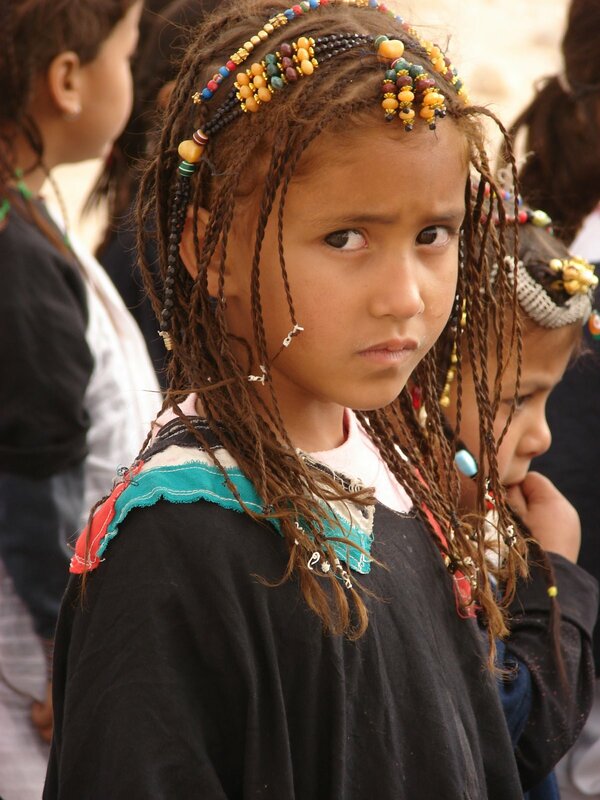 This girl was part of the parade marking the Saharawi ‘National Day’, February 27th. They celebrated the day before, however, because all the foreigners who were in the camps for the race were leaving on the 27th. A Saharawi woman waits for a ride in the blowing sand. The weather was like this on the day before and the day after the marathon. Fortunately, race day was clear. 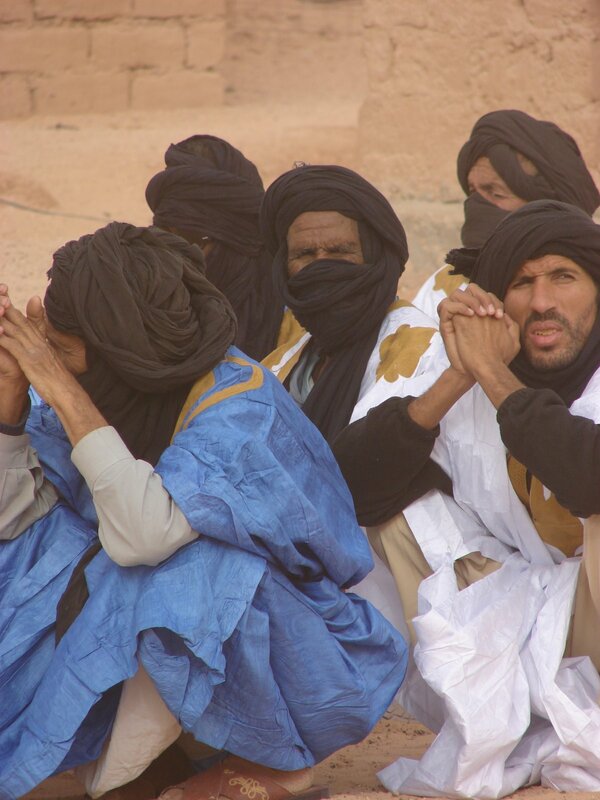 These men, in traditional robes and turbans, are huddled against the wind and watching the parade. 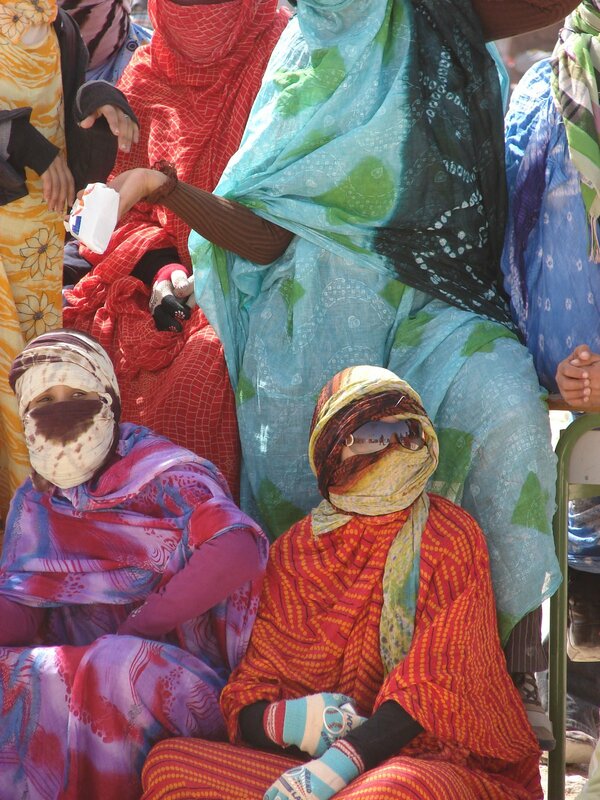 Saharawi women in all their wonderful colour. The women cover their faces and hands to protect against the darkening of the sun. Pale skin is prized as beautiful for many women here. A typical tea service. 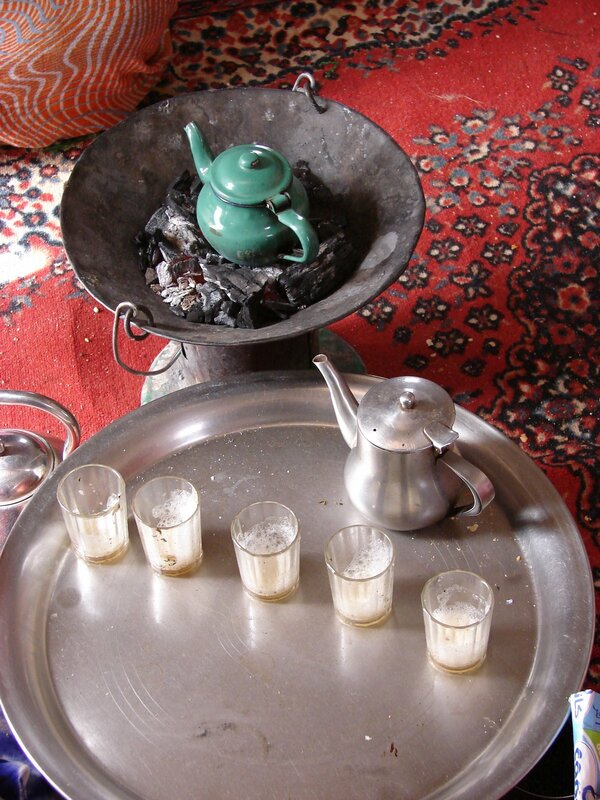 Tea, and the intricate preparation of tea, is a cornerstone of Saharawi culture. They drink tea all day long from those tiny glasses.